Earnings season unofficially kicks off, and the Federal Reserve expresses itself -- all during the week of Oct. 5 through Oct. 9. Stocks last week closed the books on an unusually rough three-month period. The S&P 500 (SNPINDEX:^GSPC) lost 6.9% while the Dow Jones Industrial Average (DJINDICES:^DJI) dipped 7.4%, making it the worst quarter for the market since 2011. 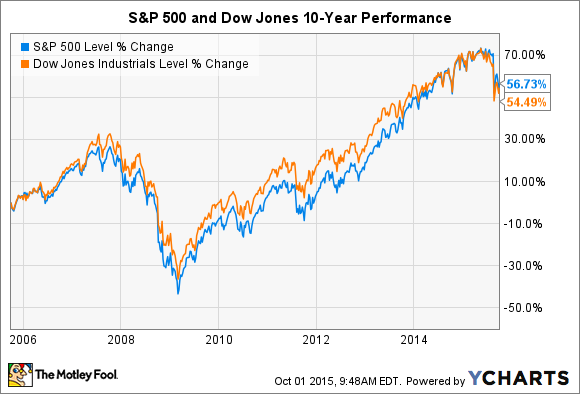 Yet stocks are still up substantially over both the latest 5-year and 10-year time frames. Quarterly wiggles aside, profits are the real drivers of long-term stock price appreciation. And investors will start getting solid information on that front this week. Quarterly earnings reports are due out from food and beverage giant Pepsico (NASDAQ:PEP), along with metals king -- and former Dow member -- Alcoa (NYSE:AA). Meanwhile, expect volatility on Thursday afternoon around the 2:00 p.m. EST release of minutes from the Federal Reserve's latest monetary policy meeting. Snacks will steal the spotlight to begin the week. Overall, Wall Street expects Pepsi to announce lower third quarter results on Tuesday, with earnings slipping to $1.27 per share from $1.36 a year ago. And revenue should slump by 6%, according to the average forecast of the 21 analysts who cover the stock. Yet strip away volatile currency fluctuations, and the snack and soda giant's core results may look much stronger than those headline numbers suggest. Pepsi most recently posted 5% higher global organic sales volume as the critical U.S. market contributed a $400 million sales jump. CEO Indra Nooyi went so far as to credit "positive momentum in the business" for management's decision to raise its full-year earnings forecast. Shareholders will be looking for more solid organic sales growth this week, along with profitability improvements from Pepsi's $5 billion cost-cutting initiative. With the central bank inching closer to announcing its first interest rate hike in years, Federal Reserve communications have become widely followed events lately -- events that often move markets. And so Thursday's 2:00 p.m. EDT release of minutes from the Fed's September policy meeting could inject volatility into the stock market. Officials at last month's meeting decided not to hike the federal funds rate and explained that a boost won't be appropriate until they see "further improvement in the labor market" and more evidence that inflation is headed "back to [the Fed's] 2 percent objective over the medium term." The central bank expects to see data supporting both of these trends soon, which is why most officials believe a rate increase will be coming some time in the fourth quarter of 2015. However, the meeting minutes should shed light on the debate that's happening within the Federal Reserve right now about the timing, and speed, of future interest rate hikes. Finally, lightweight metals giant Alcoa posts its third quarter results after the market closes on Thursday. Shareholders are bracing for another rough report. Sales should fall by 9% as profits are sliced in half to $0.15 per share. Investors will be most concerned with the relative performance of the two businesses that Alcoa plans to separate itself into next year. Management claims that the high-performance group, which engineers products for the aerospace and automotive industries, has a bright future of profit growth ahead. Meanwhile, the commodities segment's dominant position in bauxite mining and alumina production should make it an attractive investment in raw materials demand growth. By separating out the cyclical, low margin business from its engineered materials group, Alcoa believes it can unlock loads of shareholder value. But Wall Street isn't yet on board with that reading: The stock is up by less than 6% since the split was announced. So investors will be closely parsing this week's results for any evidence that the company will be significantly more valuable when operating as two distinct entities.